Hulk, Pepsi or Daytona c? I currently own a batman and thinking of what would be a good combo for it? 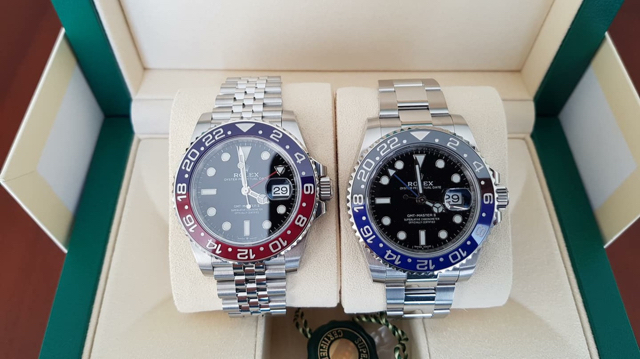 Hulk, Pepsi or Daytona C black dial? Just buy what ever one you like the most. White C500 is the perfect match with a BLNR. My 2 cents... not even close. Daytona all the way, GMT & Submariner are too similar and a class below. For you, white or black dial daytona ceramic? If keeping the BLNR, Daytona would be my pick. Ideally, my favorite combo of all those references would be BLRO + Daytona. Black dial Daytona gets my vote. You already have a Sub/GMT style Rolex. Daytona by a country mile... Hulk and Pepsi are great but just not on the same level IMHO. Daytona. You already have a date and GMT function, the chrono and look of the Daytona are a nice balance. If you would like the versatility of dressing down the PCLs, you could get an Everest strap for either watch or a glidelock for the BLNR. The most valuable commodity is time, not the watch keeping track of it. 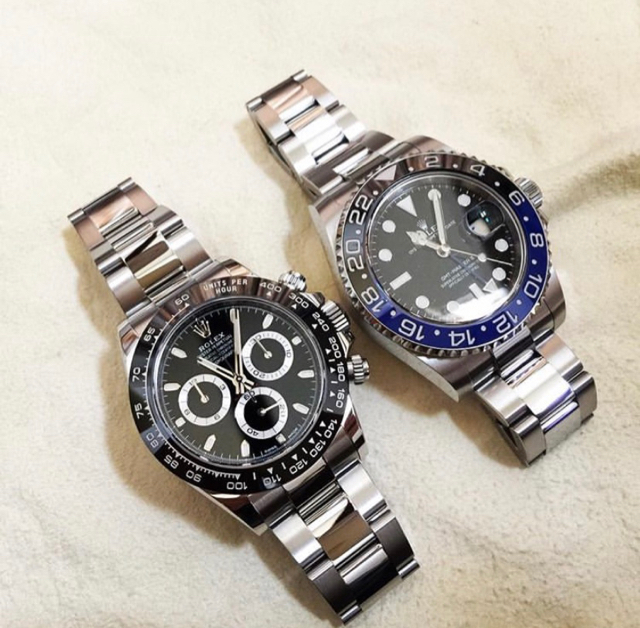 Trade your BLNR for the BLRO if at all possible, and grab the Daytona. Unbeatable combination if you can you swing it. Then down the road add the LV! Land / Sea / Air combo that hits all the bases! My 2 cent! The most different option is the Daytona. That would make a great combo. Attending WIS-CON 2019 in Las Vegas! Tough decision as they are all so readily available. 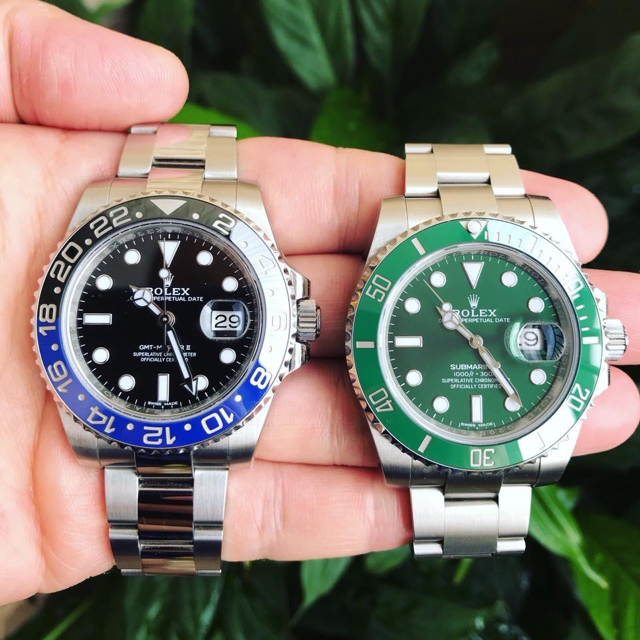 Hulk and Daytona (white dial). Only get the Hulk if you want to rock colorful watches all the time. There are actually quite a lot of people who have the Batman/Hulk combo. I wouldn't get the Pepsi simply because you already have a GMT. Daytona seems the logical choice for me because it is the most different. I'd get the white dial for more variation. Daytona is the obvious answer for me. If you can have them all then go ahead lol however the black Daytona gets my vote one of my favorite all time Rolex. With a Sub/GMT I'd get a D500 next.